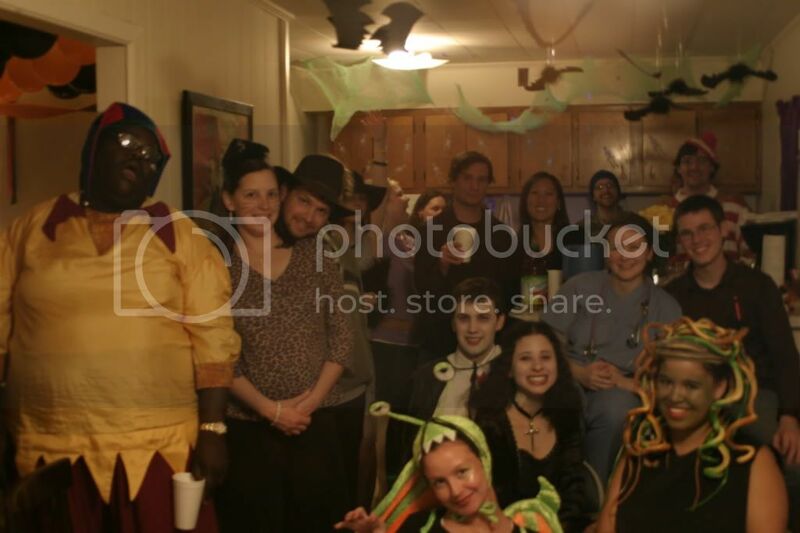 this is everyone who came they all looked awesome in there costumes! 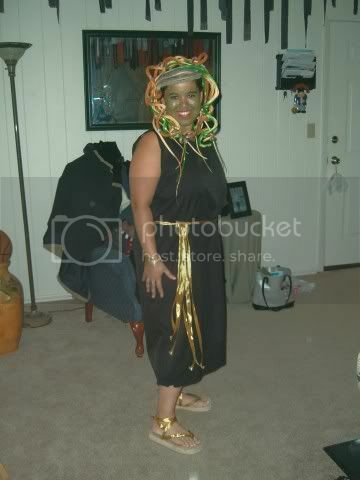 This is me in my Medusa costume. 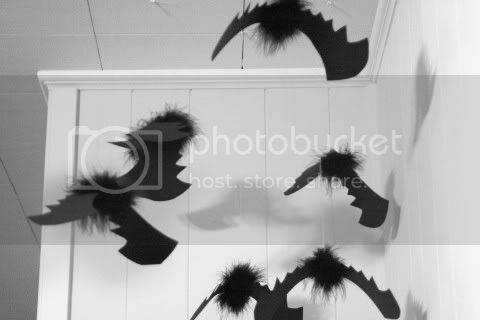 the head dress is made from a bunch of plastic snakes attached to a visor, brim cut off, with floral wire. my fingers hurt so bad once I finally finished! 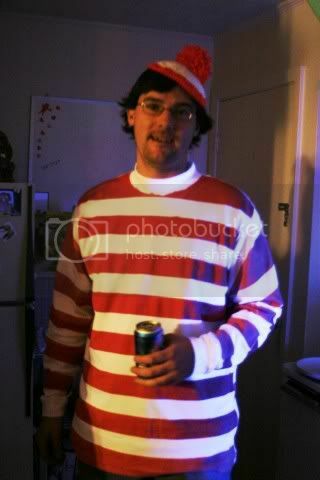 This is the boyfriend in his Waldo costume. He used a white tee shirt and some masking tape, and spray painted the stripes on. and the hat was crocheted by moi. 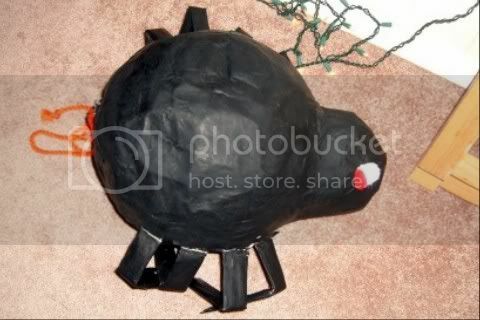 This is the Spider pinata that I made and we didn't bust, no one had the heart to. wow! 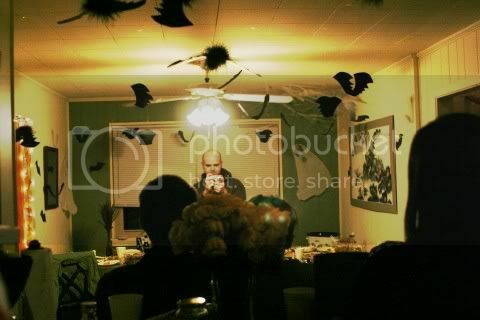 that looks awesome, i bet you all had fun!!! That looks gReat! 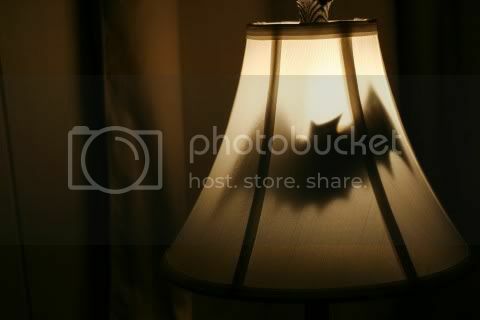 I love the bat inside the lampshade. 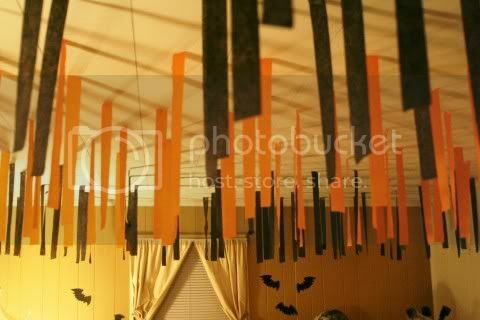 Looks way cool! How fun! Love the Medusa and Waldo costumes. 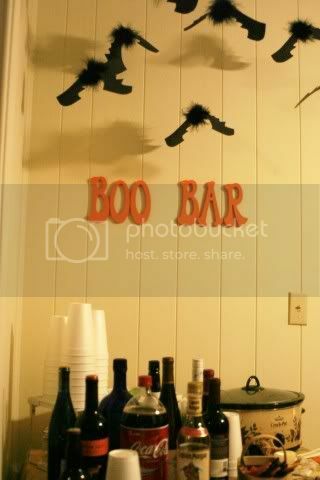 Very clever (and thrifty)!